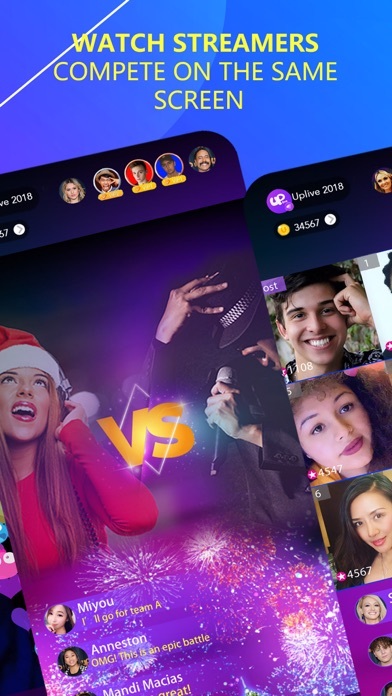 The best live stream app! I’d like to leave my review, after using several live streaming apps that ban you for no reason, allow inappropriate conduct etc. 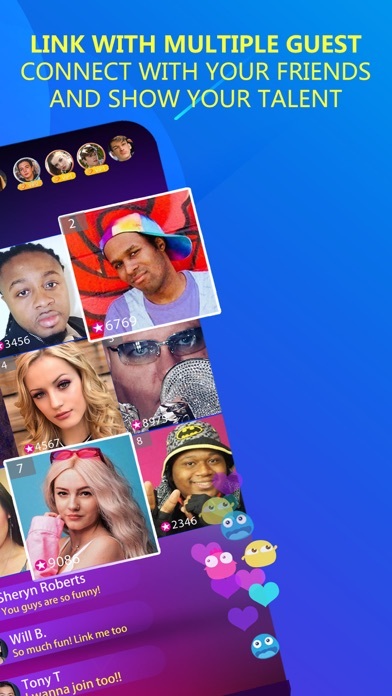 UpLive is the best app of all that enforces the rules while making sure people are banned for a reason. 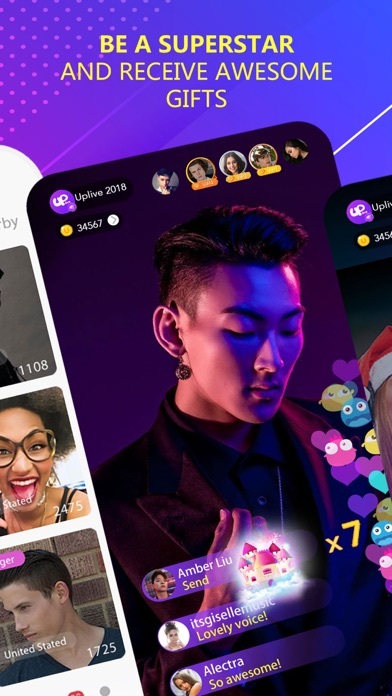 Give up other live streaming apps and join UpLive for great content and friends all over the world! Upon joining it automatically follows a bunch of accounts with out asking you. With in minutes I had ten messages from spam bots. And no way to delete account. Also customer service can not hardly make a complete sentence when they do reply to you. I was just minding my business a man came on there beating his manhood so i kicked him out and then I got banned and kicked of the page like how ? Ok it’s an ok app. It was good at first until I saw people trying to get me to do bad stuff and gross stuff. Honestly I don’t really like the app anymore. I’d rather choose one that doesn’t do this at all!!! I get muted unfairly for 72 hours over someone else’s drama to an uplive host when I specifically stated I was not involved in the situation because I was temporarily away from my device at the time and I want to file for an appeal because I feel this is wrong. Roll The Dice - Are you lucky ?